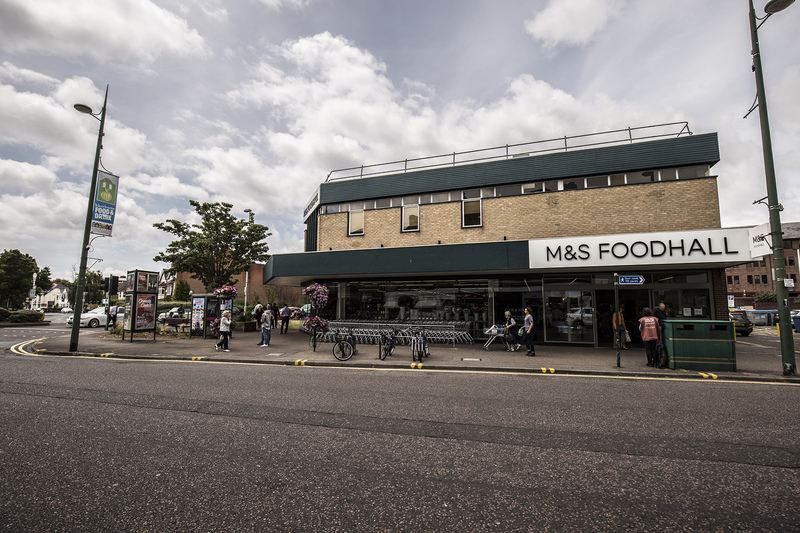 Westbourne Supermarkets – Main Food Shops. For a relatively small area, there is a good choice of Westbourne Supermarkets. Within the main shopping area, there are four good food stores. Although all small by modern standards, they can provide the main food needs for the family. At the western end of Westbourne, there is now a Marks and Spencer “Simply Food”. This took over from the previous Waitrose store, which relocated to larger premises in Upper Parkstone. Poole Road houses an Iceland. This has previously been a Gateway, Fine Fare and International Stores – all of which are now names of the past. Also in Poole Road, there is, of course, the Tesco Express. This is in the former Methodist Church, and creates a distinctly unusual sight in the main road. Seamoor Road is host to the Central Express Convenience Store, previously a Spar. In the past, this pair of shops has been a menswear store and Newsagents. There are the Westbourne Supermarkets. There are, of course, other places in Westbourne where you can buy food. These food shops will be covered in a later blog item.